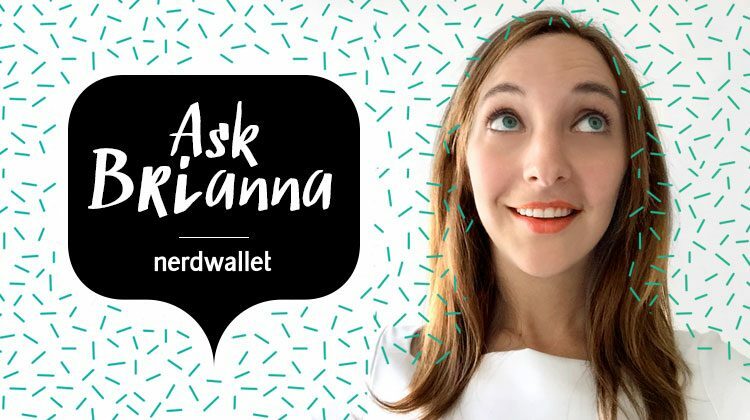 Ask Brianna: Should I Get a Credit Card? I’m in college and I want to get a credit card. Is that a good idea? How should I do it? Credit cards are alluring and a little scary. They suddenly give you the ability to buy a plane ticket or a new computer whenever you want; they’ve also inspired countless cautionary tales about how too much debt can mess up your life. But used correctly, credit cards show the world you’re financially responsible, which will come in handy later on. Lisa Turtle’s fate doesn’t have to be yours. Here’s how to decide whether to get a credit card as a college student and how to use it the right way from the start. We should get it out of the way that your goal is to build credit, not to carry a credit card balance for years. That means no neon green leather jackets like Lisa’s, unless you have enough money in the bank to pay it off that month. Otherwise, you’ll rack up big interest charges. The average household with credit card debt has $15,762 of it and pays $6,658 a year in interest, according to NerdWallet’s December 2015 Household Debt Study. We want you to buck the trend and be credit card debt free. Plus, if you’re like the nearly 70% of Class of 2014 grads with student loans, you might have a monthly student loan payment to tackle when you graduate anyway. So why get a credit card at all? Using a credit card responsibly will help you build a great credit score. That will qualify you for things like an apartment and a good deal on auto insurance in many states. It may surprise you how many times you’ll need to show strong credit habits later on. Some employers even do credit checks on prospective hires. Start by choosing the right credit card for your needs; putting a few manageable charges on it, such as gas for your car or a utility bill; and paying them off right away. You won’t be able to get just any credit card initially, since credit card companies want to see some financial history first. A 2009 federal law called the Credit Card Act also made it harder for college students without income from full-time jobs to get credit cards on their own. The law protects you from crazy fees, sudden increases to your interest rate and credit card companies’ misleading marketing tactics. But it makes the credit card application process a little more complicated: If you’re under 21, you must show you earn enough “independent income,” which can include pay from a steady job, allowances, scholarships and grants (but not student loans). If you don’t meet the income requirements noted above, consider asking a parent or another older, trusted family member to add you as an authorized user to his or her credit card. Confirm with the credit card company that your activity as an authorized user will show up on your credit report. That’s how you’ll start building credit history. But while you can make charges on the card and help pay them off, you’re not legally responsible for the bill — and your activity won’t have as big an impact on your credit score as getting your own card. A student credit card is a popular introduction to credit if you’re under 21 and earn independent income. Many student credit cards come with perks like cash-back rewards or 0% APR (your interest rate, in nonbank speak) to start. You may need a co-signer — a parent or another responsible adult with strong credit — to qualify for certain student cards. But not all credit card issuers allow co-signers. When you apply with a co-signer, make sure she or he knows co-signing means covering any charges you can’t pay back. If you miss a payment, that could also hurt your co-signer’s credit. A secured credit card is a related option, though you’ll still need to show you earn independent income if you’re under 21. It requires you to pay a deposit upfront that often ends up being your credit limit. To get a secured credit card with a $1,000 limit, for instance, you’d pay a deposit of $1,000. If you keep your card in good standing, you’ll get the deposit back when you close your account or upgrade later to an unsecured card. No matter what you use your card for — gas, groceries, utility bills — plan to pay your bill in full at the end of the month, no way around it. Automatic payments from your checking account can help. Many credit card companies’ online portals will even let you pay your current balance automatically on your due date without having to push a button. It’s also important to avoid charging too much to your card throughout the month, even if you plan to pay your bill in full. As a general rule, keep your balance below 30% of your total credit line. For instance, on a $1,000 limit, charge no more than $300. That contributes to your credit utilization ratio, and along with payment history it’s one of the biggest factors in your credit score. You’re smart to know you should build credit soon. Keep up the good habits and use your credit card sparingly while you’re in school. I can already hear your sigh of relief when you’re approved for your dream apartment five years from now.